Kennedy Space Center, FL (November 7, 2018) — The International Space Station (ISS) U.S. National Laboratory and the National Science Foundation (NSF) today announced a “Transport Phenomena” joint solicitation wherein researchers from the fluid dynamics, particulate and multiphase processes, thermal transport, and combustion and fire system communities will have the ability to leverage resources onboard the space station. Up to $4 million will be awarded for multiple research investigations to support flight projects to the ISS National Laboratory. Previously, the ISS National Lab and the NSF partnered on two fluid dynamics/multiphase processes solicitations, and one funding opportunity focused on combustion and thermal transport. 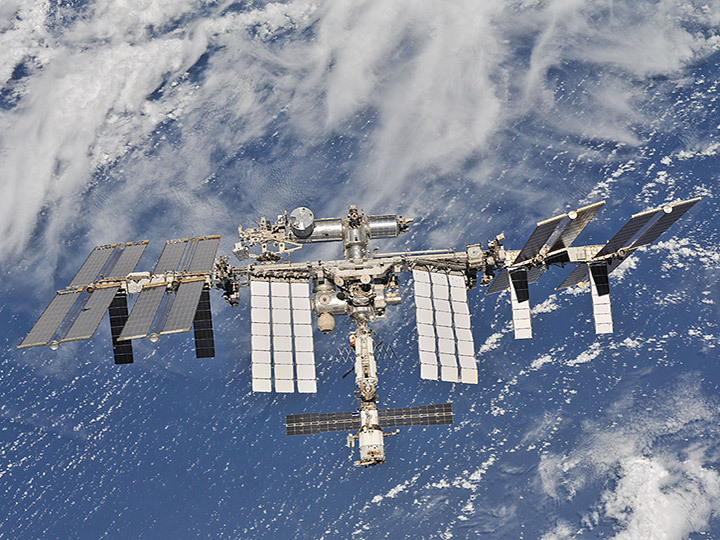 This new funding opportunity will combine the previous scientific disciplines for researchers in an effort to provide a broad range of research applications within the microgravity environment of the space station. Through this partnership, the ISS National Lab and NASA will facilitate hardware implementation and on-orbit access to the microgravity research platform. NSF will fund the selected projects to advance fundamental science and engineering knowledge. NSF supports transformative research to help drive the U.S. economy, enhance national security and maintain America’s position as a global leader in innovation. The unique high-quality and long-duration microgravity environment on the ISS National Laboratory has many benefits for the study of fluid dynamics, multiphase processes, thermal transport and combustion and fire systems. Many processes that affect the behavior of fluids on Earth, such as convection, sedimentation, hydrostatic pressure, and buoyancy, are absent in microgravity. Through this solicitation, the ISS National Lab and NSF seek proposals that will evaluate phenomena such as, but not limited to, capillary flow, diffusion, interfacial behavior, multiphase flow, separation, surface tension, combustion, and phase change. Prior to submitting a full to proposal to NSF, all interested parties must submit a Feasibility Review form to the ISS National Lab, which will determine the operational feasibility and terrestrial benefit of the proposed project. The ISS National Lab will notify the proposer of a passing or failing review score within 4 weeks of the Feasibility Review form being submitted. The deadline to submit the Feasibility Review form is January 4, 2019. Only projects that pass the Feasibility Review will be invited to submit a full proposal to NSF. The notification of a passing score must be included in the full proposal submission. NSF will close this grant solicitation on March 15, 2019. To learn more about the funding opportunity, view the full solicitation via the Division of Chemical, Bioengineering and Environmental Transport Systems (CBET) in the NSF Engineering Directorate.